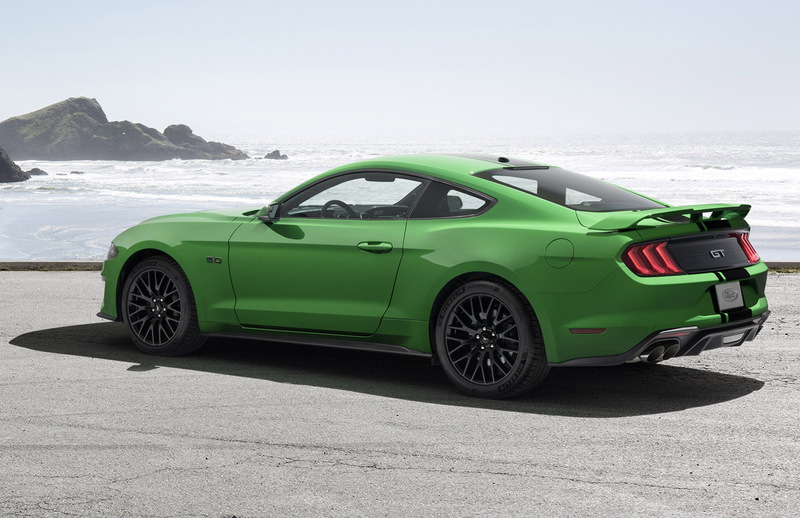 The big Ford news at the New York Auto Show this year is the return of the Mustang GT/CS. 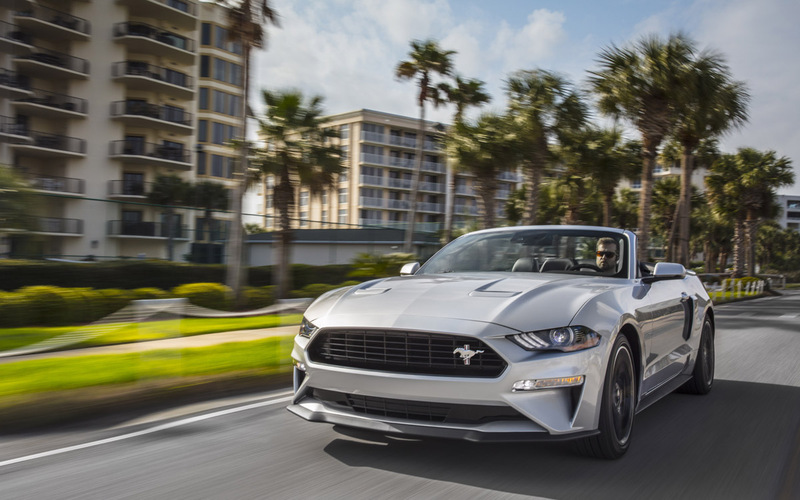 The California Special is back for 2019 as are a number of new Mustang colors and features for the model year. 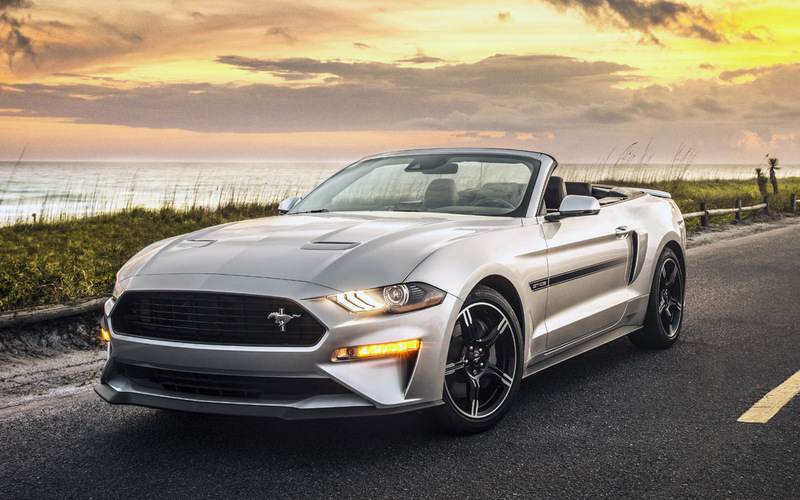 A franchise of sorts that started way back in 1968 with the regional California Special, the GT/CS appearance package made a comeback in recent Mustang generations with great popularity and now continues to the 2019 S550 Mustang. The California Special is of course based on the 5.0-liver V8 powered GT Premium and marked visually by a number of elements starting with the fade-out side stripe down the side that dies into added on scoops. Up front is a unique grille with Mustang tri-bar logo mounted off to the side and lower front splitter courtesy of the GT Performance Package. On the rear deck is a spoiler and a new touch, a red or black California Special script – not exactly like the original but a nice retro piece none the less. The GT/CS also gets unique five-spoke wheels. The cabin gets black Miko suede on the seats, embossed with GT/CS logos. Red accent stitching is found across the dash, the console, door panels and those grippy sport seats. GT/CS logos also show up on the floor mats and on the dash plaque. Gotta have the dash plaque. 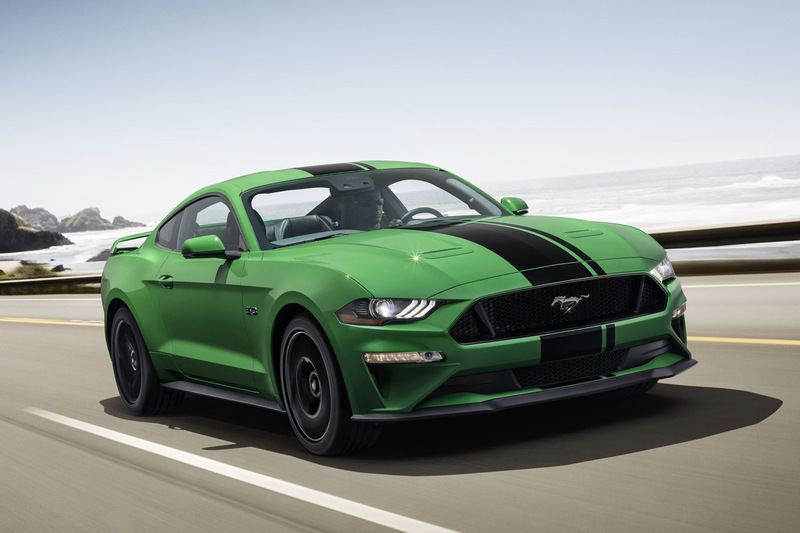 For 2019 the GT/CS California Special joins the new Bullitt special-edition Mustang and the fire breathing GT-500 is just around the corner. 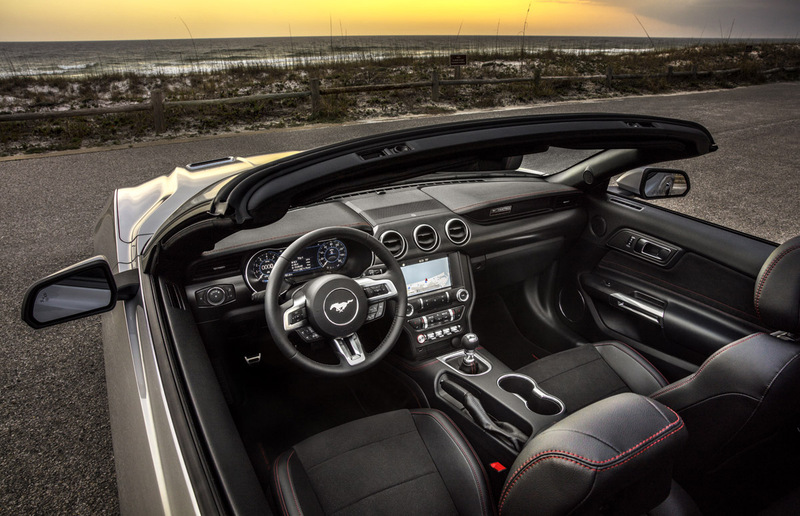 But if you’re just buying a regular Mustang there’s a lot of new stuff for 2019 including software rev-matching when you pair the 460 horsepower 5.0-liter V8 with a 6-speed manual. The computer will now automatically blip the throttle for you on both up and down-shifts, making for faster, smoother action. And yes it sounds hell-a-good. Also sounding good, the new Bang & Olufsen B&O PLAY audio system replaces the Shaker Pro Audio for 2019 with a 1,000 watts if sound through a 10-channel amp and 12 speakers. A credible back-end is backed up with the SYNC 3 front-end I have found one of the best so it should be all quite good. 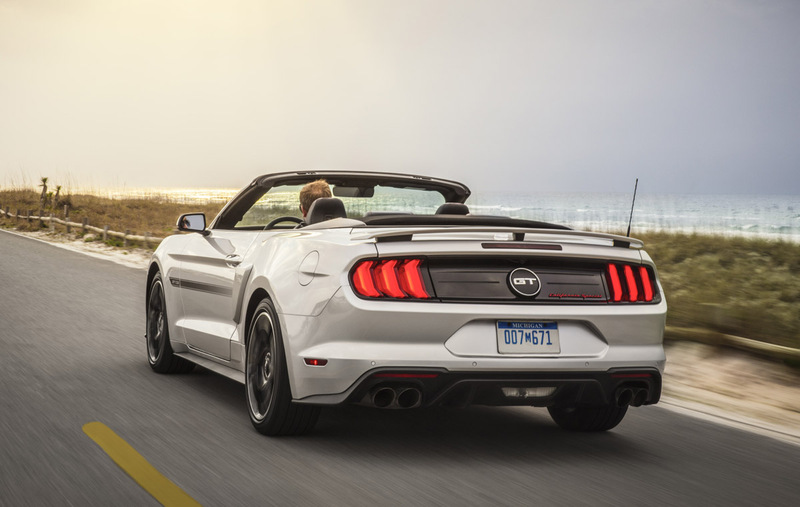 If you’re getting the 2.3-liter EcoBoost Mustang you wont be left out in the cold, Ford is adding the active valve exhaust system as an option so you can dial up its sound now too. With the same quad-tip exhaust pipes as the GT, you can control its snarl through the drive modes preset or custom. Lastly, the 2019 Mustang gets some new colors. We know the Highland Green you get on the Bullitt but also for this year are a couple others including Velocity Blue and Need for Green, unveiled just last St. Patrick’s Day. 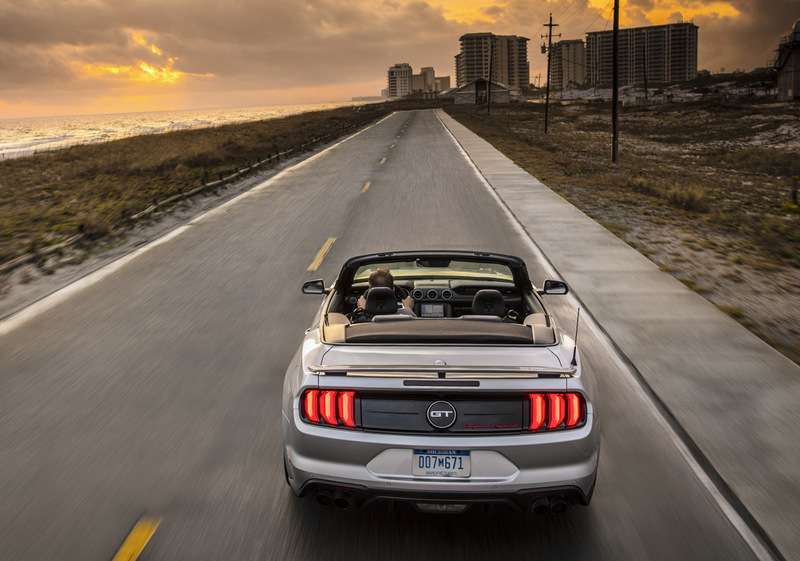 The 2019 Mustangs will be along by late summer as the Ford pony-car usually arrives earlier than most year changes with Job 1 at the Flat Rock, Michigan plant coming earlier than most. Pricing of the new GT/CS and Bullitt Mustang, along with the new options for 2019 will of course be announced closer to launch.